Hospital Cubicle Curtains are used as privacy curtains, ideal for patients in hospital rooms, clinics, nursing homes, and educational and other facility environments. Protecting privacy means making sure that the people in your buildings are safe and comfortable. Ocelco has the medical curtains you need to protect privacy with the planning and help you need to make sure it's done right. 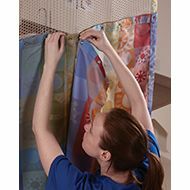 Our hospital cubicle curtains, privacy screens and shower curtains come in many sizes, patterns and colors. 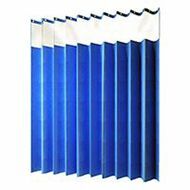 Our hospital cubicle curtains can be used for many different purposes, such as medical privacy curtains, blackout curtains for room darkening, or even to divide your room. We also carry a complete line of hospital room curtain track and hardware to install your hospital room curtains. 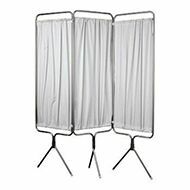 Not just used for hospitals or medical applications, our medical curtains have many other uses, such as dividing rooms, photography backdrops, privacy control, convention centers, and much more. If you need help choosing the correct hospital curtain track systems or hospital cubicle curtain for your special job, please feel free to call us. We would be happy to assist you in planning for the correct amount of tracking and help you find the correct medical curtain size for your facility. Find more information here. Browse these categories under "Hospital Cubicle Curtains"